Online Quiz: How energy-efficient are you? 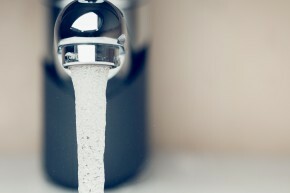 The average German consumes 120 liters of drinking water per day. What is the majority of this water used for? Correct. 43 liters of water per day are used for personal care. Wrong. We only use five liters of water for drinking and cooking per day. Incorrect. 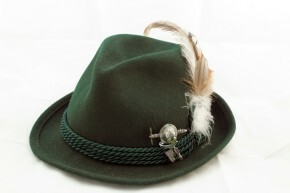 Every German flushes 33 liters of drinking water down the toilet every day, putting this activity in second place. In 1961, global CO2 emissions were still just less than 10,000 million metric tons. What year did emissions exceed the mark of 25,000 million metric tons? That’s right! 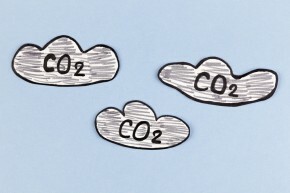 Global carbon dioxide emissions exceeded 25,000 million tons at the beginning of the 21st century. Wrong. This year was defined by the second Gulf war and the collapse of the Soviet Union. The amount of carbon dioxide emissions still wasn’t a global political issue at this point. Wrong. The mark had already been exceeded by then, and continues to increase despite regular climate change conferences. The party’s over and it’s time to clean up. Where can you dispose of the paper plates and paper napkins? That’s right. 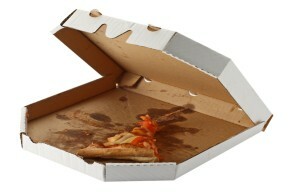 Cardboard materials that still have leftover food stuck to them should always be thrown in the residual waste can. This also applies to baking paper, which needs to be thrown in the residual waste can anyway due to its coating. Wrong. If you drank out of plastic cups at the party then you can throw them in here, but paper plates and napkins go somewhere else. Wrong. The trash can for paper is not suitable for cardboard packaging with a coating or leftover food stuck to it, as both of these things hinder the recycling process and decrease the quality of the resulting product. What does the term ‘integrated milling concept’ mean? The energy generated during steel production is reused. Paper and pulp milling combined as one. Flour milling done on-site at a bakery. Correct. Process gases and waste heat are constantly fed back into the cycle and used for generating heat and power for steel production. Surplus energy is fed into surrounding district heating systems. Wrong. Paper and pulp milling processes can indeed be integrated, but that’s not the kind of milling we’re thinking about here. Incorrect. Only the most dedicated bakers would have time to mill their own flour and tend to buy it from a wholesale supplier instead. Container-deposit legislation has been in force in Germany for refillable packaging for 20 years and single-use packaging for a good ten years. How much will you get for an empty drink can when you take it back to the shop? Correct. 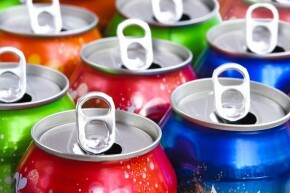 Single-use bottles and cans carry a deposit of €0.25. Incorrect. This amount applies to a refillable glass beer bottle. Wrong. Glass and PET bottles for juice, mineral water, and soft drinks all have a deposit of €0.15. 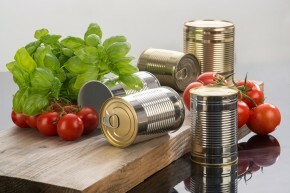 How high is the recycling rate for tinplate in Germany? Correct! nearly 94 percent of the tin plate found in cans, bottle tops, and jam jar lids is recycled. Not quite, the rate is much higher at 94%. You’re on the right path – but you’ve still got some way to go. There’s definitely room for improvement. But don’t worry, practice makes perfect. Try again and soon you’ll be an expert in environmental protection. Waste separation, recycling, renewable energies – all of these terms are familiar to you and you seem pretty much in the know. Keep it up, stay on the ball and try the quiz again – remember: there’s always something new to be learned. Excellent, your knowledge of environmental issues is exemplary. But be honest, do you live your life in an environmentally conscious way? If so you deserve our respect and gratitude. Carry on the good work and be a role model for others. We need more people like you!